I’ve been thinking of doing a list like this for awhile, but never been quite sure how to present it. Ranking every Sonic stage together at once seemed a daunting task and one that couldn’t possibly represent truthfully the quality (or flaws) of each stage. So, we’re going to do this one game at a time to ensure the greatest level of consideration for each representative and surely the best overall stages will shine through naturally. Alright, this list’s aim is to only deal with Sonic stages from the games that present the classic Sonic gameplay style. 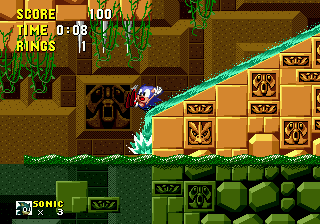 That is, 2D, high-speed platforming with lives, often multiple characters in the same level layout and typically some form of Chaos Emerald collecting special stage. Forget your Adventures or your Unleashed, because we aren’t having them here. Where better to start then, than with the very first Sonic game ever released, Sonic the Hedgehog on Sega Mega Drive. Hands down, the least enjoyable level of the entire Mega Drive collection, this place doesn’t even represent its very name. “Sparkling”, its name in development, would have been more appropriate; things certainly sparkle in this stage, but there just aren’t a lot of springs to merit calling this a spring yard. Naming conventions aside, this is the casino archetype level before that was popularised in Sonic 2, meaning it is a very overshadowed place. The star bumper pads are present and indeed present a couple of interesting puzzles along the way, but with slow moving, hedgehog flattening shafts and horrible rolling badniks, it sits at the bottom of the list for now. We might not be very fair to Final zone, for it has lost its prestige in years thanks to much more challenging and engaging final boss fights. 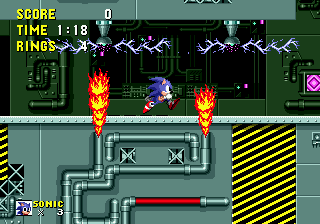 The original does have its share of difficulty, however Eggman doesn’t change his strategy at all throughout the whole thing, meaning it can feel like a slog towards the end instead of a climatic final showdown. Still, its super satisfying chasing the madman down at the end and giving him one final boot to close the show. We only get a very finite amount of opportunities to tackle these stages, perhaps making them feel a tad more tense than ought. Either way, they sit on the lower end of the rankings. 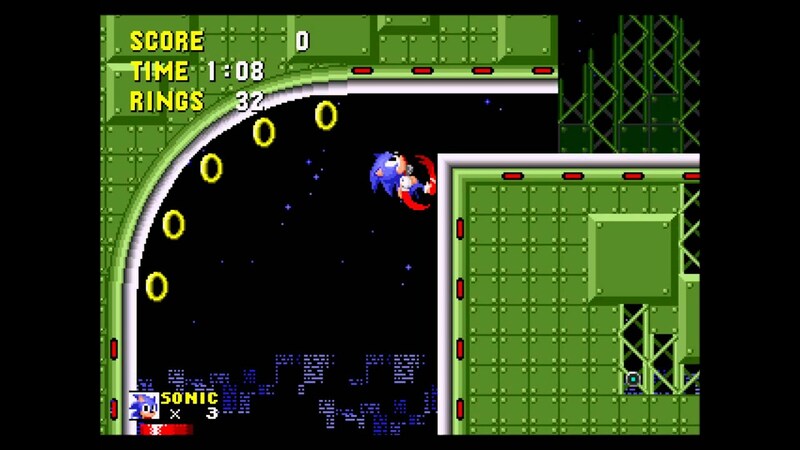 Sonic sits within a spiralling dimension and we have to reach the Chaos Emerald at the end without bumping into one of the goal balls. Simple enough, but with the spiralling speeding up, bumpers galore and some crystals that take some hammering to pass through, these can feel quite chaotic and oftentimes can leave us without that emerald because of some slight fumble or loss of perspective. If you’re looking for a real challenge from the first Sonic game, try and play the 2013 remake on no save mode with all seven Chaos Emeralds in the mix. There is so little margin for error it might feel a tad more frustrating to achieve a perfect clear than ever before. Eggman’s dastardly lair is indeed full of dastardly mechanisms. Lots to squash Sonic, lots to lose his footing on, lots to burn him alive or saw him in half or be assaulted by pig’s droppings… Anyway, Scrap Brain is a real doozy of a final act, so much so it seems Eggman has designed his lairs more forgivingly since. Indeed, it can seem unfair and there are moments when the bottomless pit rinses our life store, but it can be amazingly satisfying to overcome. Now managing it without losing a single ring is another matter entirely. The third act ruins things slightly by returning us to a more drab version of Labyrinth zone, meaning the original location loses some of its prestige. Mind, the third act can be very easily and quickly overcome, if one knows the layout well. Bring on the fire! This very cool looking place is the second level of the game and takes that exhilarating speed from the first stage and cuts it mercilessly. This is a very platform heavy place, and aside from the grassy top layer and a certain lava chasing segment, it deviates from this plan very little. The level is also incredibly linear, something that the remake remedies somewhat. Yet, the music is good and the platforming is incredibly solid, so there’s a lot to enjoy about Marble zone and even with all the lava, it isn’t as unforgiving as other one might expect of a fire based stage. Sonic’s trademark speed is only really showcased in two places, and Star Light is one of them. This level is a huge breath of fresh air after the three platform heavy behemoths beforehand. This is a mint green highway, set above a vast city landscape, so perhaps those star lights are more neon than natural. Regardless, the highways above encourage fast running and bring back those Green Hill loop-de-loops for another go, whilst if we want something a little more platform focused, the city below provides without taking too much of the speed away. Star Light is a great level, only behind others due to its shorter length and sometimes mean bottomless pits on the lower path. A water zone coming up in second! Egad! Yeah, Labyrinth is a worthy Sonic level even if it doesn’t strictly adhere to our favourite Sonic conventions. 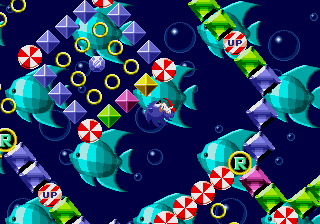 This very claustrophobic level takes place almost entirely underwater, killing Sonic’s speeds and ramping drowning up on the casualty list. 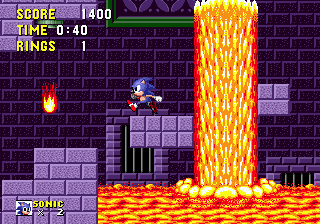 Yet, Sonic’s big weakness makes compelling gameplay, and these narrow passageways add a level of urgency not felt in the other levels of Sonic 1. There are still a handful of gimmicks to please everyone too, with big cascading water chutes and strong current passageways making Sonic prey to the almighty power of the water! Rounding this off is an interesting boss battle (more like a chase) with Eggman, in which I believe you can actually defeat the doctor, but never managed to do so myself. There’re a handful of secrets in this labyrinth that I’m still getting used to today, so for all these reason, yes a water zone will happily sit in second. Saw it coming didn’t we?! The real test for Green Hill here will be how long it stays on the top as we cover more games in future. Surely some other Sonic level since this one deserves the title as the best of the bunch? Green Hill is synonymous with Sonic, its design perfectly in tune with every ethos Sonic has come to represent and its theme music is an instant warmth of nostalgia for an entire generation. Green Hill is by and far the best level in Sonic the Hedgehog. Is it the best level in all of Sonic’s history? Only time will tell. Next time, we won’t be looking at Sonic the Hedgehog 2. We have a couple of other titles to cover before then, ones that downgrade the hedgehog by half. Next time, Sonic the Hedgehog (8-bit) for Sega Master System and Game Gear! Previous Previous post: Green Hill: The Best Level in Sonic the Hedgehog? What do Pokémon Black and White do Better Than Any Other Pokémon Game? Because Steam reviews should be more than just "Funny line 10/10"